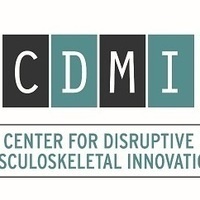 Come together with researchers, clinicians, and high level executives from top orthopaedic companies to learn about the latest musculoskeletal innovations from four different campuses (UC San Francisco, University of Toledo, The Ohio State University, and Northeastern University). In this semi-annual event, the Center's Industry Advisory Board will select which projects to fund this cycle and hear updates from previously funded projects. This year's keynote will discuss cutting-edge projects using machine learning.